With the recent passing of Jazzy, our family remained deeply saddened, especially Oliver who became greatly depressed after Jazzy’s passing. 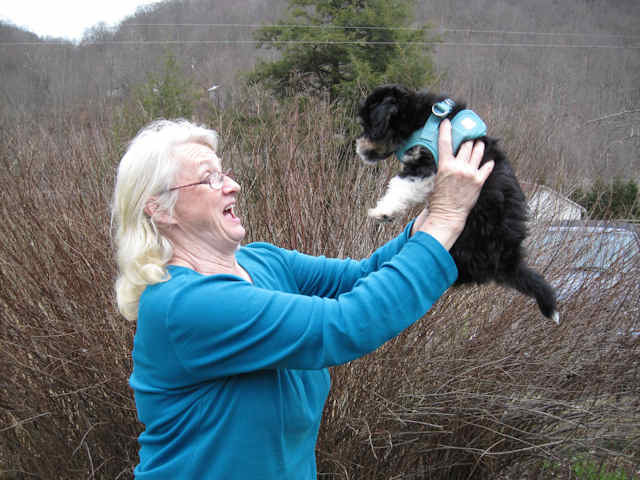 Cheryl began searching for a new puppy and decided she wanted a smaller breed dog, one that she could easily carry and that would be a lap dog. Although our Gordon Setters thought they were lap dogs, at from 70 to 100 pounds, they could get to be quite heavy laying on our lap. 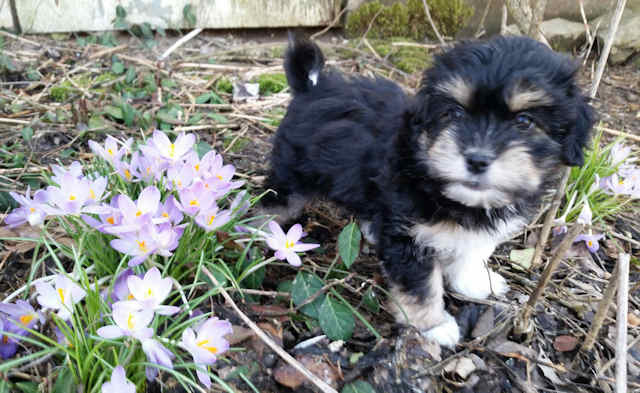 Cheryl decided on a “designer” dog and located a breeder in northern Ohio who had a litter of Havanese/Cavalier King Charles Spaniel puppies. On Saturday, March 5, 2016, Ray drove to northern Ohio to pick up “Kassie” who was eight (8) weeks old and bring her to our farm in West Virginia. Kassie has adapted very quickly to her new family and Oliver, our Gordon Setter. And Oliver has adopted Kassie immediately and has quickly recovered from his depression from the passing of Jazzy. Here is a video of Oliver and Kassie playing. and here is another video of Oliver and Kassie playing together.